Systems engineering is an interdisciplinary field of engineering focusing on how complex engineering projects should be designed and managed over their life cycles. Issues such as reliability, logistics, coordination of different teams (requirement management), evaluation measurements and different disciplines become more difficult when dealing with large, complex projects. With the increasing use of electronic devices for the navigation and control of aircraft, A.R. 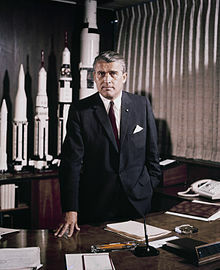 C. has long encouraged the “Systems Engineering” of these devices into the basic design of aircraft. Radio atmospherics is one of numerous projects underway at the US Navy Electronics Laboratory, which has its headquarters in San Diego... The laboratory is operated by the Bureau of Ships and is engaged not only in research but also in development and "systems engineering" by which new ideas are converted into practical pieces of equipment for use by the fleet. Today at Martin an entirely new concept, known as Martin Systems Engineering, is resulting in the production of new aircraft, guided missiles and electronics weapons designed not as yesterday's flying vehicles but as the coordinated and controlled spaceborne systems of tomorrow. The principle of Martin Systems Engineering now makes possible developments in airpower that may change the shape of things to come-our way. 1953 Advertising text by Glenn L. Martin Company, published in: Aeronautical Engineering Review. (1953) Vol 12. p. 132; Air Force Magazine (1953). Vol. 36. p. 92; American Aviation (1953). Vol. 17. p. 94; Flying Magazine, Dec. 1953; United States Army Combat Forces Journal (1953) Vol. 4, p. 4; and other magazines. Don't tell me that man doesn't belong out there. Man belongs wherever he wants to go — and he'll do plenty well when he gets there. The term "systems engineering" is a term with an air of romance and of mystery. The romance and the mystery come from its use in the field of guided missiles, rockets, artificial satellites, and space flight. Much of the work being done in these areas is classified and hence much of it is not known to the general public or to this writer. But one term that has defied classification limits is the term "systems engineering." One sees the term "systems engineering" in technical help-wanted advertisements in newspapers and magazines. For example, the New York Times advertisements have often mentioned it, and it is far from rare in the advertising carried by the magazine Scientific American. The term is also found among the course offerings of a few leading universities. Systems engineering is more likely to be closely associated with top management of an enterprise than the engineering of the components of the system. If an engineering task is large and complex enough, the arrangement-making problem is especially difficult. Commonly, in a large job, the first and foremost problem for the systems engineers is to relate the objectives to the technical art. Systems engineering is a highly technical pursuit and if a nontechnical man attempts to direct the systems engineering as such, it must end up in a waste of technical talent below. By some definitions "systems engineering" is suggested to be a new discovery. Actually it is a common engineering approach which has taken on a new and important meaning because of the greater complexity and scope of problems to be solved in industry, business, and the military. Newly discovered scientific phenomena, new machines and equipment, greater speed of communications, increased production capacity, the demand for control over ever-extending areas under constantly changing conditions, and the resultant complex interactions, all have created a tremendously accelerating need for improved systems engineering. Systems engineering can be complex, but is simply defined as "logical engineering within physical, economic and technical limits" — bridging the gap from fundamental laws to a practical operating system. Instrumentation Technology (1957) p. 361: About the "Theme of '57 ISA Conference"
Systems engineering embraces every scientific and technical concept known, including economics, management, operations, maintenance, etc. It is the job of integrating an entire problem or problem to arrive at one overall answer, and the breaking down of this answer into defined units which are selected to function compatibly to achieve the specified objectives. The problem can be practically anything - designing a missile, building a plant, replanning an existing process, developing a new instrument, or establishing a maintenance procedure. Instrument and control engineering is but one aspect of systems engineering - a vitally important and highly publicized aspect, because the ability to create automatic controls within overall systems has made it possible to achieve objectives never before attainable, While automatic controls are vital to systems which are to be controlled, every aspect of a system is essential. Systems engineering is unbiased, it demands only what is logically required. Control engineers have been the leaders in pulling together a systems approach in the various technologies. A new concept and a new method were needed. The concept from the engineering standpoint is the evolution of the engineering scientist, i.e., the scientific generalist who maintains a broad outlook. The method is that of the team approach. On large-scale-system problems, teams of scientists and engineers, generalists as well as specialists, exert their joint efforts to find a solution and physically realize it. We are led to the concept of the system-design team, a small group of engineers or scientists, to lead a large project and organize the system effort. Such men have been variously called engineering scientists, system engineers, system analysts, or large-scale-system designers. The technique has been variously called the systems approach or the team development method. It is toward this man and his teammates that these discussions are directed. With the realization that not enough can be learned in all the required fields to make him a specialist, enough is introduced to make him aware of the language and problems of the specialist. This generalist is a new quantity in the engineering world, and his education must be begun. There are two types of systems engineering - basis and applied. There is no need to attempt to define the term systems engineering in a manner acceptable to everybody, as Chalmer Jones brings out in his article herein. Systems engineering is, obviously, the engineering of a system. It usually, but not always, includes dynamic analysis, mathematical models, simulation, linear programming, data logging, computing, optimating, etc., etc. It connotes an optimum method, realized by modern engineering techniques. Basic systems engineering includes not only the control system but also all equipments within the system, including all host equipments for the control system. Applications engineering is — and always has been — all the engineering required to apply the hardware of a hardware manufacturer to the needs of the customer. Such applications engineering may include, and always has included where needed, dynamic analysis, mathematical models, simulation, linear programming, data logging, computing, and any technique needed to meet the end purpose - the fitting of an existing line of production hardware to a customer's needs. This is applied systems engineering. 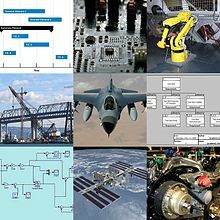 Systems engineering is the name given to engineering activity which considers the overall behavior of a system, or more generally which considers all factors bearing on a problem, and the systems approach to control engineering problems is correspondingly that approach which examines the total dynamic behavior of an integrated system. It is concerned more with quality of performance than with sizes, capacities, or efficiencies, although in the most general sense systems engineering is concerned with overall, comprehensive appraisal. (2) for work in a systems engineering laboratory containing a large Analogue Computer. Electro mechanical devices, D.C. amplifiers, pulse and video circuitry, general electronic techniques, precision electrical measuring techniques and relay circuitry. Hawker Siddeley Aviation (1959) Job advertisement for Systems Engineer in: New Scientist Dec. 17, 1959. Systems engineering is a realistic way of doing engineering. It is not a mythical, blue-sky concept. It is now being used with benefits and influences that can be seen. It offers management a means to potential profit that cannot be ignored. The Systems Engineering method recognizes each system is an integrated whole even though composed of devices, specialized structures and sub-functions. It is further recognized that any system has a number of objectives and that the balance between them may differ widely from system to system. The methods seek to optimize the overall system function according to the weighted objectives and to achieve maximum capability of its parts. J.A. Morton (1959) "Integrating of Systems Engineering with Component Development. "Electrical Manufacturing, August 1959; As cited in: Allen B. Rosenstein (1965) "Systems engineering and Modern Engineering Design"
It may be said that systems engineering is directed at the design and operating problems of production processes and units, while operations research is applied to problems in other areas of management such as sales, marketing, and external finance. Some engineering artifacts are most easily analysed, described, or designed as an assembly of simpler parts. Artifacts of this kind are called systems. Some systems have the property that flowing through them are streams of some 'working fluid' (which may be matter, energy, or information), in such a way that the 'working fluid' passes in turn through many parts of the system, which is in consequence termed a sequential (or flow) system. Examples are a chemical plant, an electrical power distribution network, a digital computer, a sewer system. Systems which do not have this property are termed associative systems of which examples are a motor car, an aircraft, or a bridge - - it is with (sequential) systems that the theory of system design has primarily been developed. There is a general feeling at the present time that a worth-while new subject must lie behind the structure and functioning of a large class of complex devices and organism, typified by animal nervous systems and computers... [The 1962 book The Design of Engineering Systems by William Gosling] is part of a search for such subject. [It] tries to establish a strictly practical subject, to guide engineers in designing complicated systems... Gosling touches upon many aspects of the design processes that are common to a range of engineering projects, and so produces a useful reference book for the engineer who wishes to acquaint himself with the methods used by some of his colleagues. One is left, however, with the impression that it is still a collection of logically unconnected techniques. Merely to impose a common terminology may be useful, but it does not raire "systems engineering" to the level of a new subject. Even the terminology is a little forced: we may accept "throughput" in cases where the meaning of "input" and "output" have become fused, but must we then refer to output as "ongoing throughput"? It is hard to say whether increasing complexity is the cause or the effect of man's effort to cope with his expanding environment. In either case a central feature of the trend has been the development of large and very complex systems which tie together modern society. These systems include abstract or non-physical systems, such as government and the economic system. They also include large physical systems like pipe line and power distribution systems, transportation and electrical communication systems. The growth of these systems has increased the need not only for over-all planning, but also for long-range development of the systems. This need has induced increased interest in the methods by which efficient planning and design can be accomplished in complex situations where no one scientific discipline can account for all the factors. Two similar disciplines which emerged about the time of World War II to cope with these problems are called systems engineering and operations research. A system must be designed and tested as a complete entity. The word 'system' has come, through actual practice, to include: the prime mission equipment; its supporting command, control, training, checkout, test, and maintenance equipment; the facilities required to operate and maintain the system; the selection and training of personnel specialists; the operational and maintenance procedures; instrumentation and data reduction for test and evaluation; special aviation and acceptance programs and logistics support programs for spare and depot maintenance. All parts of a system must have a common unified purpose: to contribute to the production of a single set of optimum outputs from given inputs with respect to time, cost, and performance measures of effectiveness. The absolute necessity for coherence requires an organization of creative technology which lead to the successful design of the complex military system. This organized creative technology is called Systems Engineering. The systems engineering method recognizes each system is an integrated whole even though composed of diverse, specialized structures and sub-functions. It further recognizes that any system has a number of objectives and that the balance between them may differ widely from system to system. The methods seek to optimize the overall system functions according to the weighted objectives and to achieve maximum compatibility of its parts. In a world in which training and functions of individuals and groups are growing more and more specialized the number of ways to accomplish any particular result increasing. Different design, different facilities, different equipment, different methods, and different organizational means are available to meet the needs of man. It is highly desirable that we have trained persons look at these varied possibilities to compare their effectiveness, and to point the way to sound engineering decisions. Systems Engineering Methods is directed towards the development of a broad systems engineering approach to help such people improve their decision-making capability. Although the emphasis is on engineering, the systems approach can also has validity for many other areas in which emphasis may be social, economic, or political. Systems thinking plays a dominant role in a wide range of fields from industrial enterprise and armaments to esoteric topics of pure science. Innumerable publications, conferences, symposia and courses are devoted to it. Professions and jobs have appeared in recent years which, unknown a short while ago, go under names such as systems design, systems analysis, systems engineering and others. Systems Engineering is the science of designing complex systems in their totality to ensure that the component sub-systems making up the system are designed, fitted together, checked and operated in the most efficient way. Gwilym Jenkins (1969) "The Systems Approach," in: J. Beishon and G. Peters (eds.) Systems Behaviour. p. 82. My analysis of living systems uses concepts of thermodynamics, information theory, cybernetics, and systems engineering, as well as the classical concepts appropriate to each level. The purpose is to produce a description of living structure and process in terms of input and output, flows through systems, steady states, and feedbacks, which will clarify and unify the facts of life. Chestnut (1965) devotes one page of the more than 600 pages in his book to man as an operator or an element of man-machine systems. Hall (1962) devotes about a page and a half to human factors applications. Machol (1965) has a brief chapter of limited content on human factors, in which man is considered only as an information processor. Shearer et al. (1967) mention a driver and a steersman in their introductory chapter; thereafter, there is no of man, his characteristics, or his behavior. Wilson (1965) allocates three pages to human factors. For every book on systems engineering containing a mention of the human operator, there is another in which the words human, man, human factors, and psychology do not appear. The notion of "system" has gained central importance in contemporary science, society and life. In many fields of endeavor, the necessity of a "systems approach" or "systems thinking" is emphasized, new professions called "systems engineering," "systems analysis" and the like have come into being, and there can be little doubt that this this concept marks a genuine, necessary, and consequential development in science and world-view. Management of an industrial company must be giving targets to the engineers constantly; that may be the most important job management has in dealing with its engineers. Significant formal investigators of systems engineering have included Goode and Machol (1957), A.D. Hall (1962), Chestnut (1965, 1967), Sage (1977a,b), and Blanchard and Fabrycky (1981), whose descriptions span 24 years. Although each investigator has approached this subject with a slightly different orientation, all have dealt with defining the elements of systems engineering and various methods of approaching the implementation of these elements. In addition, the US government, through its development and acquisition of large-scale systems over the years, has addressed all aspects of systems engineering. These have been documented in government- sponsored texts (e.g.. System Engineering Management Guide 1986) as well as numerous related standards, directives and handbooks, especially those printed by the US Department of Defense. A.D. Hall's (1962) classic account of the methodology was based on his experience with the Bell Telephone Laboratories. Hall sees systems as existing in hierarchies. In systems engineering, plans to achieve a general objective must similarly be arranged in a hierarchy, with the systems engineer ensuring the internal consistency and integration of the plans, The methodology itself ensures the optimization of the system of concern with respect to its objectives. This requires a number of steps, the most important being problem definition, choosing objectives, systems synthesis, systems analysis, systems selection, system development, and current engineering. With Hall, the system of concern is usually a physical entity. System engineering is the art and science of creating effective systems, using whole system, whole life principles. System engineering is a robust approach to the design, creation, and operation of systems. In simple terms, the approach consists of identification and quantification of system goals, creation of alternative system design concepts, performance of design trades, selection and implementation of the best design, verification that the design is properly built and integrated, and post-implementation assessment of how well the system meets (or met) the goals. Before the 1940s the terms "system" and "systems thinking" had been used by several scientists, but it was Bertalanffy's concepts of an open system and a general systems theory that established systems thinking as a major scientific movement... With the subsequent strong support from cybernetics, the concepts of systems thinking and systems theory became integral parts of the established scientific language, and led to numerous new methodologies and applications -- systems engineering, systems analysis, systems dynamics, and so on. Rocket engineering is not like ditch digging. With ditch digging you can get 100 people and dig a ditch, and you will dig it a hundred times as faster if you get 100 people versus one. With rockets, you have to solve the problem of a particular level of difficulty; one person who can solve the problem is worth an infinite number of people who can’t. Among the first texts to use the term [Systems engineering] was Louis Ridenour’s Radar System Engineering, published in 1947 as part of the Radiation Laboratory’s series of textbooks. The title refers to the physiological sense of system, that is “how to engineer a radar system,” – where an individual radar is a connected set of components like magnetrons, waveguides, power supplies, and display tubes. Title does not refer to the philosophical sense of system, as in “how to system engineer a radar,” but such ideas are nascent in the book: it covers not only wave propagation and noise models, but also the appropriate design of displays and the dissemination of information through a radar organization. Ridenour’s text includes no discussion of feedback or servomechanisms, or of the dynamic characteristics of radar systems. A McGraw Hill text, System Engineering [by Harry H. Goode, and Robert E. Machol, published ten years later, included probability, analog and digital computers for simulation, queuing theory, game theory, information theory, servomechanism theory, and sections on “human engineering,” management, and economics. Complex engineering projects should be managed as evolutionary processes that undergo continuous rapid improvement through iterative incremental changes performed in parallel and thus is linked to diverse small subsystems of various sizes and relationships. Constraints and dependencies increase complexity and should be imposed only when necessary. This context must establish necessary security for task performance and for the system that is performing the tasks. In the evolutionary context, people and technology are agents that are involved in design, implementation and function. Management’s basic oversight (meta) tasks are to create a context and design the process of innovation, and to shorten the natural feedback loops through extended measures of performance. Yaneer Bar-Yam (2003) "When Systems Engineering Fails --- Toward Complex Systems Engineering"; As cited in: Joseph E. Kasser (2010) "Seven systems engineering myths and the corresponding realities"
The motives for conceiving modern systems engineering are to be found, at least in part, in past disasters. Arthur D. Hall III  cites: the chemical plant leakage in Bhopal (1986); the explosion of the NASA Challenger space shuttle (1986) and the Apollo fire (1967); the sinking of the Titanic (1912); the nuclear explosion in Chernobyl (1986) and the disaster at Three Mile Island power plant (1979). He cites, too, the capture of markets by Japan from the U.S., the decline in US productivity and the failure of the US secondary school system. He identifies the millions of people dying of starvation every year while other nations stockpile surplus food, medical disasters such as heart disease, while governments subsidize grains used to produce high cholesterol meat, milk and eggs; and many more. One implication is clear: systems engineering faces challenges well beyond the sphere of engineering. A. Wayne Wymore (2004) in: "Systems Movement: Autobiographical Retrospectives". In: International Journal of General Systems, Vol. 33, No. 6, December 2004, pages 593-610. System engineering is the art and science of creating optimal solution systems to complex issues and problems. Systems engineering as an approach and methodology grew in response to the increase size and complexity of systems and projects... This engineering approach to the management of complexity by modularization was re-deployed in the software engineering discipline in the 1960s and 1970s with a proliferation of structured methodologies that enabled the the analysis, design and development of information systems by using techniques for modularized description, design and development of system components. Yourdon and DeMarco's Structured Analysis and Design, SSADM, James Martin's Information Engineering, and Jackson's Structured Design and Programming are examples from this era. They all exploited modularization to enable the parallel development of data, process, functionality and performance components of large software systems. The development of object orientation in the 1990s exploited modularization to develop reusable software. The idea was to develop modules that could be mixed and matched like Lego bricks to deliver to a variety of whole system specifications. The modularization and reusability principles have stood the test of time and are at the heart of modern software development. Systems engineering should be, first and foremost, a state of mind and an attitude taken when dealing with complexity. NASA Systems Engineering Handbook. NASA Center for AeroSpace Information, 2005. This page was last edited on 19 February 2018, at 16:36.